FreeCharge has come up with a loot offer for its new users. Recharge for Rs.50 and get Rs.50 as cashback. The offer is not valid for Airtel users. This freecharge offer is valid till 30th November 2015. Offer is valid on successful recharges, bill payments(except Airtel). How to avail this Freecharge Loot Offer - A50? 1. Login to Freecharge.com. Register if you are a new user. 2. Do a recharge or bill payment worth Rs.50. Please note that the offer is not valid for Airtel recharges and bill payments. 3. 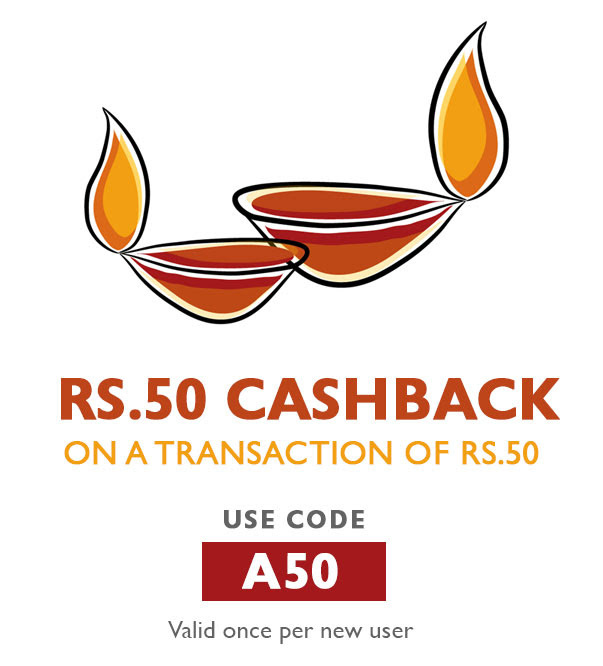 Use Freecharge promo code 'A50' to get Rs.50 cashback. Offer is valid on successful Recharges/ Bill Payments done till 30 November 2015. The offer is valid only on minimum recharge of Rs.50. Freecharge Promocode A50 has to be applied to avail cashback offer. Valid only once per New User/Credit card/Debit Card. Freecharge Cashback will be offered in the form of ​FreeCharge Wallet/Credits that should be redeemed within 185 days from date of credit. The offer is not valid on transactions done via FreeCharge Wallet, Net Banking and Add Cash Transactions. Please email the customer care of Freecharge for all other queries - care@freecharge.com.